It is a good idea to know how to pass an electrical safety inspection. Electrical safety inspections may be necessary when you are making an electrical change or trying to find the source of an electrical problem. If work is needed, electrical inspections can help determine what work needs to be done. If work was performed, the inspection will ensure that everything was done safely and future problems do not arise. Regardless of what the issue may be, here is how to be confident that you will pass an electrical safety inspection. When Is an Electrical Inspection Necessary? If you are having electrical work done and you’re not sure if an electrical inspection will be necessary, you can talk to your contractor. He or she may be able to perform a smaller inspection to make sure whatever work is needed, it will be completed safely. Once you have determined that an electrical safety inspection is necessary, your first step will be to call your electrical contractor. He or she will be able to schedule an inspection in the next couple of weeks. If you are dealing with an emergency situation, let the contractor know so he can come out sooner. Your inspector will then schedule a window in which they will arrive. The inspection can take anywhere from a half an hour to two hours, depending on the size and condition of your home and the scope of the potential problem. The contractor may remove outlet covers and expose small amounts of wiring but all that will be replaced before they leave the premises. Once the inspection is complete, the inspector will provide you with a written report. This will give you a summary of the assessment and may also include a list of repairs needed and recommendations for improving energy efficiency. Electrical inspections are done by a city or a professional electrical contractor. If the inspection was made officially, it may serve to let insurance and real estate companies know that all work is safe and complete. In unofficial settings, it will let homeowners know that upcoming electrical repairs may be necessary. Now that you understand the process of electrical inspections and when they are necessary, it is important to be familiar with what you need to know to pass the electrical inspection. One of the first things you should make sure of if you are hoping to pass electrical safety inspection is that your wires are working properly. Faulty wiring may start a fire and should be replaced. To be safe, replace all old wires with new ones. This will result in a safer and more functional electrical system in your home. Your kitchen has a lot of appliances in it and it is not unusual for several appliances to be working at once. That’s why it’s a good idea to have many outlets in the kitchen area. An electrical inspector would warn you not to plug in several appliances into one socket simultaneously as this would overload your home’s electrical system, possibly even causing permanent damage. To pass electrical safety inspection, make sure there is an adequate number of outlets in the kitchen. If you enter a house, you will notice that light switches are placed near doorways. This is done because people need a light when they enter a room. However, did you know that having these switches near doorways is a regulation that can help you pass electrical safety inspections? Inspectors will also take a look at how lighting fixtures are places in your staircases and hallways. The lights in these locations should not cast a shadow which can result in accidents. Your bathroom is another part of your house that will be inspected thoroughly. All electrical fixtures and sockets in this area should be far from water and should have to be insulated for added safety. Lights in your bathroom should be covered with a lens and be moisture resistant. There are some more technical issues that an electrical inspector may look for during an inspection. Identifying these issues and getting them up to code may be best left to a professional, but it is a good idea to be aware of them and do your best to make sure your equipment is as safe as possible when an inspection is performed. These are a few general tips on how to pass an electrical safety inspection. 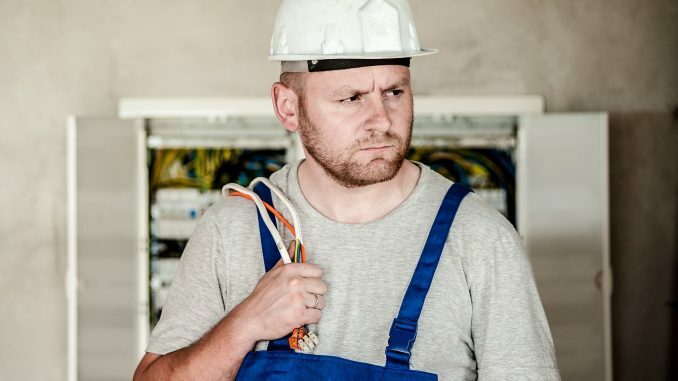 Some may find electrical inspections stressful since they don’t want to deal with the possibility that they may have to get additional work done. However, knowing what is being looked at in an electrical inspection can make you more prepared and more aware of what to expect. Here’s hoping that your electrical inspection goes smoothly so that your home is safe from potential hazards.